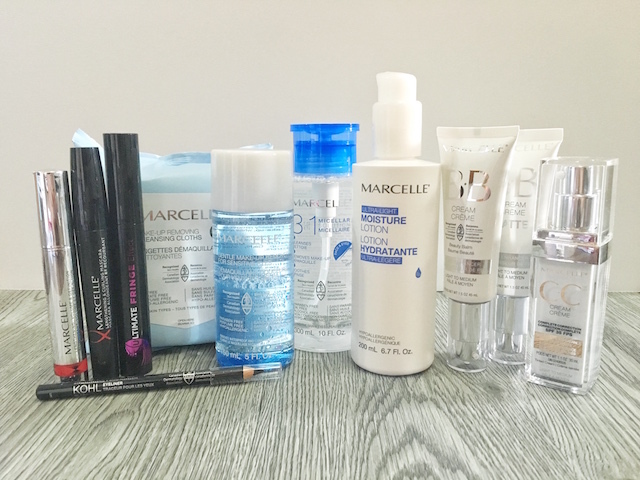 I won an Instagram contest hosted by London Drugs and Marcelle and this is what I got! I was super excited when they DM'd me letting me know I had won, and it was super nice heading to my nearest London Drugs (which I frequent often) to pick up my prize. I used to work in the beauty department there (many years ago) and my manager, Sherri, is still there and we had a nice catch up. All of these products are Marcelle products, because it was a Marcelle giveaway. My absolute favourite micellar water is from Marcelle, and it's actually the only thing I have really tried from Marcelle (I was surprised when I realized this!) Receiving a full bottle was a prize enough itself, so all these other products are a bonus and I cannot wait to give them a try! Have you tried any of these? Any favourites? Anyone else like the micellar water as much as I do?! Would you like to see reviews of any of these products?